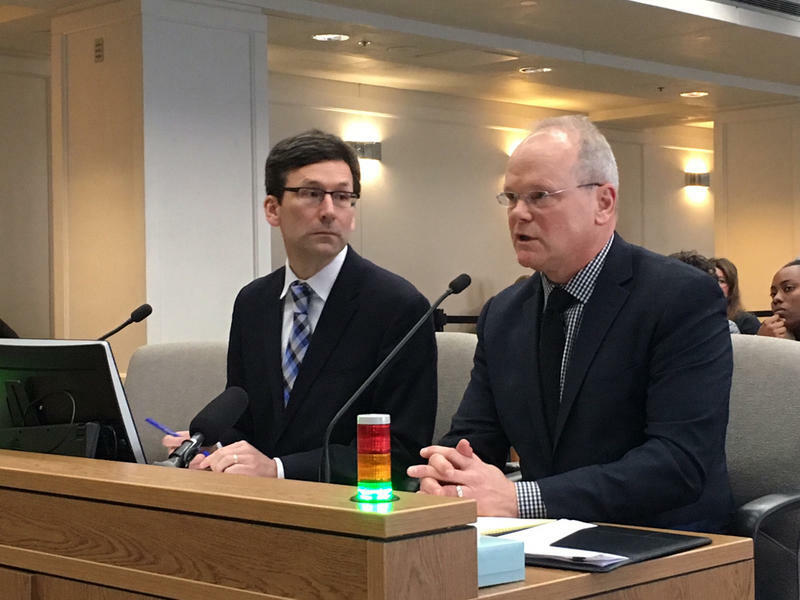 King County Prosecutor Dan Satterberg, right, testifies in favor of repealing the death penalty in Washington. He was joined by Attorney General Bob Ferguson. 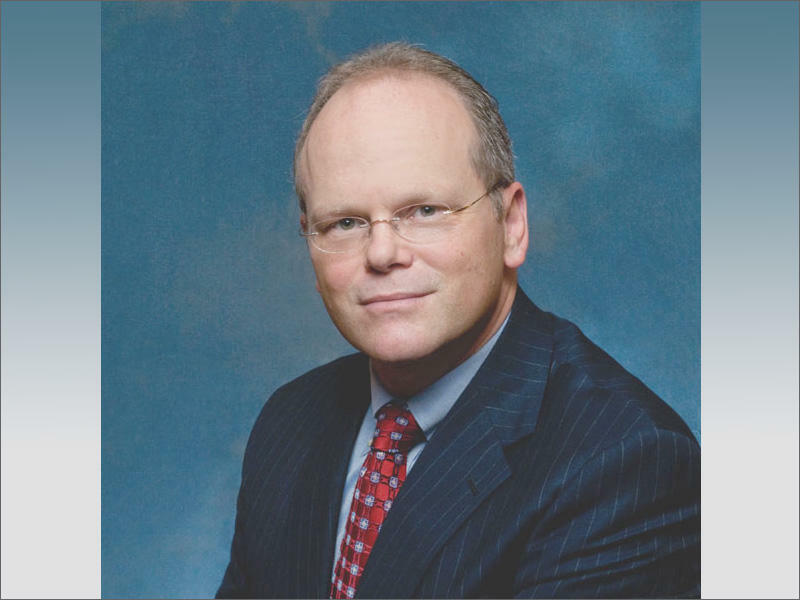 The hearing featured King County Prosecutor Dan Satterberg, a Republican who has previously sought the death penalty. But he now says he supports repeal. “I have come to the conclusion finally after 27 years that our criminal justice system would be stronger without the death penalty,” Satterberg said. He called the capital punishment unnecessary, unworkable and said it should be replaced with life in prison without the possibility of parole. But other prosecutors like Mark Roe of Snohomish County disagreed. He read a letter from Jim Hamm, the father of Jayme Biendl, a correctional officer who was murdered by an inmate already serving life without parole. “In the case of the murder of my daughter, abolishing the death penalty effectively removes the only punishment that remains for that offender,” Hamm wrote. 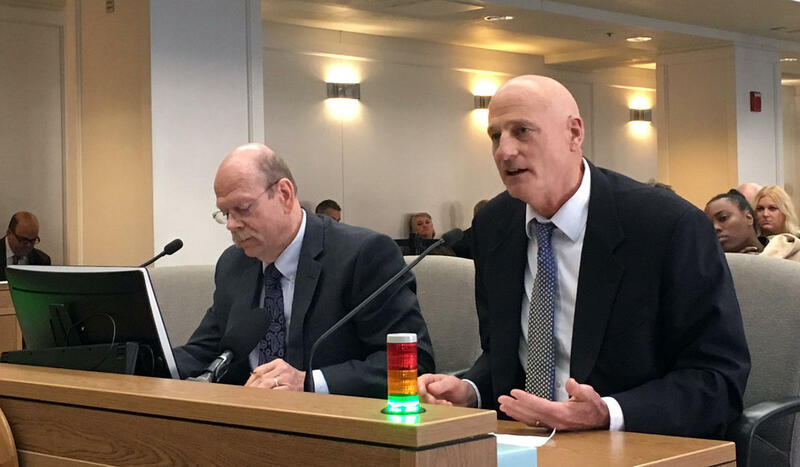 Snohomish County Prosecutor Mark Roe, right, testifies in favor of keeping the death penalty in Washington. He was joined by Whatcom County Prosecutor David McEachran. Families of murder victims are also divided. Teresa Mathis’s brother Charlie was beaten to death in Pierce County in 1983. The crime didn’t qualify for the death penalty and Mathis said she’s glad it didn’t. That’s a key argument for repeal—the cost of appeals that can stretch on for two decades. But Jessie Trapp said there are other costs as well. Her mother was murdered in 1996 by Cecil Davis who’s on Washington’s death row today for another killing. 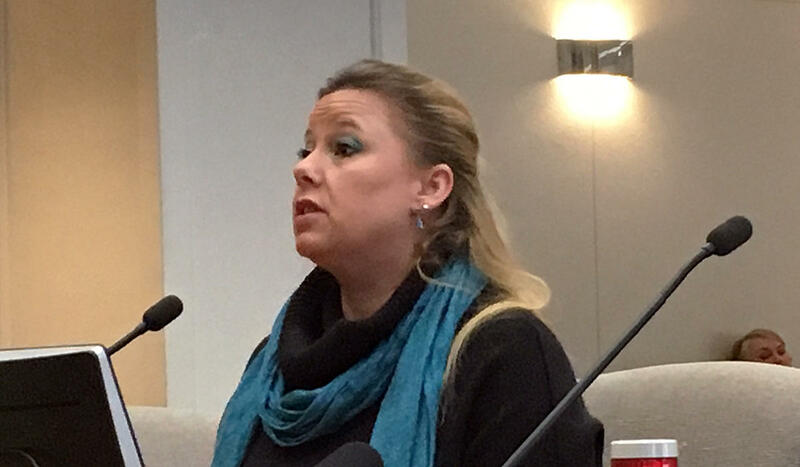 Jessie Trapp, whose mother was murdered by death row inmate Cecil Davis, urges a panel of lawmakers to oppose a death penalty repeal measure. 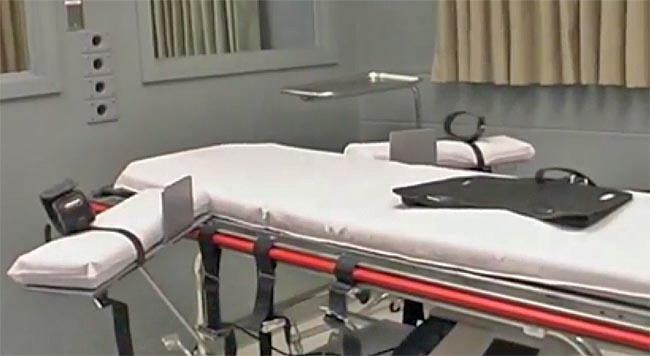 Washington is one of four states currently with a moratorium on executions. 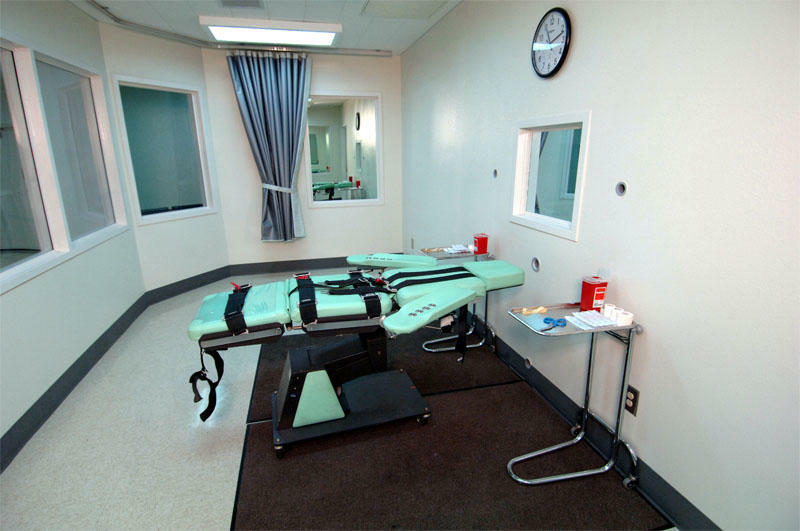 The death penalty has been abolished or overturned by the courts in 19 states, including most recently in Delaware. 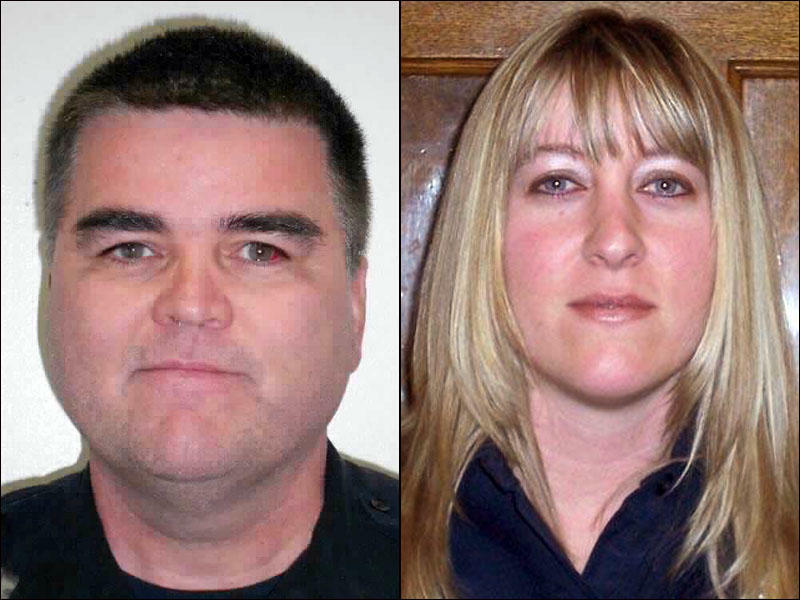 A Washington state correctional officer is recovering at home after a vicious assault. The attack came almost five years to the day after another prison guard was murdered. This latest incident is renewing questions about staffing levels inside Washington’s prisons.